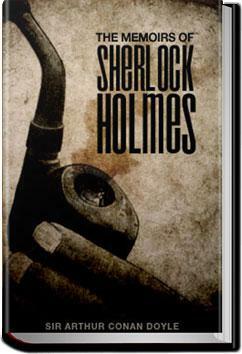 Sherlock Holmes is a brilliant London-based "consulting detective" famous for his intellectual prowess and renowned for his enormous scope of observation, his astute logical reasoning and forensic science skills in solving difficult crimes. The Memoirs of Sherlock Holmes is a collection of Sherlock Holmes mysteries, including The Final Problem in which Holmes confronts his arch-nemesis Professor Moriarty, which are preceded by The Adventures of Sherlock Holmes and followed by The Hound of the Baskervilles.
. . . confidence, however, in my own youth and energy, and was convinced that in a very few years the concern would be as flourishing as ever.